Moving away from the prevalent, chrome bathroom aesthetic, 2018 has experienced an overwhelming shift towards using a collection of warm metallic accents, including gold, copper and nickel finishes, to accompany contemporary interiors and sanitaryware. This trend for adding personality and individuality to design schemes can be achieved in a number of ways, from adding subtle hints of colour to luxurious, minimalist interiors or providing the finishing touch within a reclaimed, industrial setting or simply to reinforce daring, decorative designs. Metallic tones offer a sophisticated and stylish alternative to yesteryear’s chrome conformity. Whether you’re looking to achieve an authentic, minimalist bathroom design or accentuate the elegance within a luxurious, spa-like setting, utilising metallic tones can brighten and enliven your bathroom space. Adopting polished accents and gentle champagne shades such as gold or nickel can perfectly unify a monochrome bathroom design, adding subtle charisma to a single toned, pared back space. 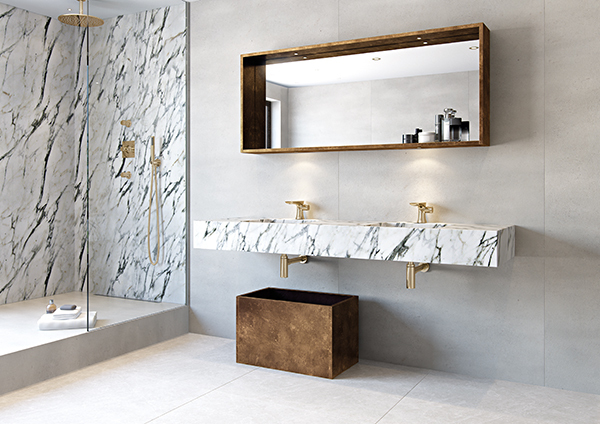 The combination of polished gold with white carrara marble has been a popular bathroom design choice for 2018 with large marble walls and worktops boasting both luxury and sincere simplicity. 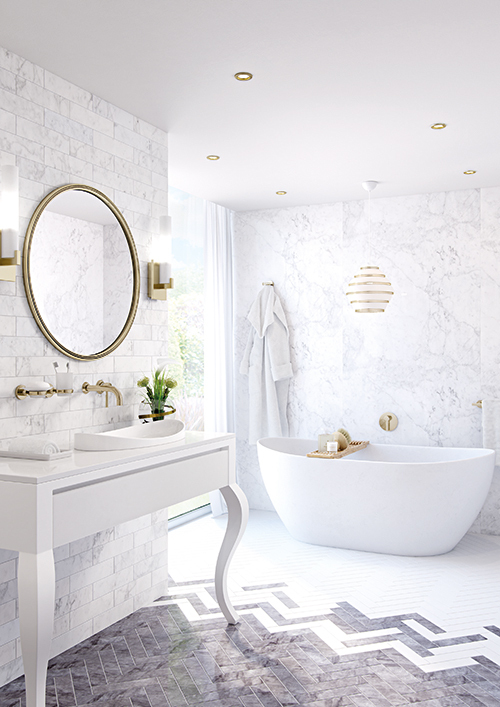 Most effective in bijoux, minimalist bathrooms, polished gold provides the perfect offset to an all-white colour scheme and lightly decorated walls. 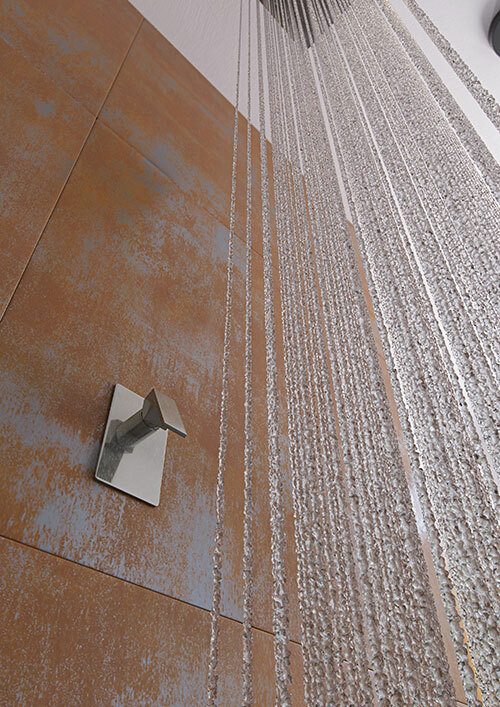 Frequently used to create a raw, ‘unfinished’ look within artisan commercial restaurants and modish cosmopolitan hotels, incorporating brushed finishes into your reclaimed bathroom design offers an authentic, industrial look and feel. Often paired with sculptured concrete basins, darkened oak vanity units and bare, piped metal fixings, brushed gold, nickel or copper bathroom fixtures remains on-trend for 2018, offering an urban replacement to traditional Edwardian forms. Contrasting white subway tiles with darkened shades and weathered natural materials is the perfect starting point for reclaiming a rustic bathroom design. 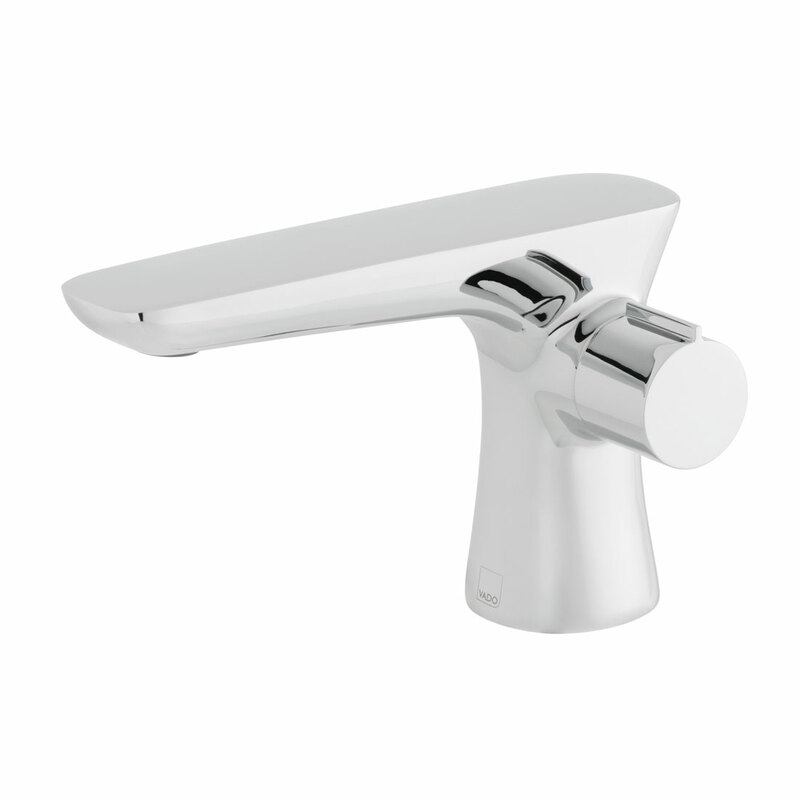 With a brushed brassware finish, your bathroom can boast a modern industrial edge. Experimenting with bolder colours, textured finishes and innovative materials has allowed more daring, decorative elements to enter the bathroom. Polished gold brassware fused with period-style features can form the ideal foundation to a glamorous bathroom design, effortlessly fashioning a distinct, luxurious appearance. Large, rounded mirrors, vintage Victorian seating and geometric flooring ensures there is a balance to the bold, statement bathroom whilst coloured walls, patterned wallpaper and mosaic tiling adds the opulent extravagance to unique designs. As 2018’s solution to adding character, charisma and contemporary glamour to a room of relaxation, VADO’s Individual range can offer the finishing touch to your exclusive bathroom design. 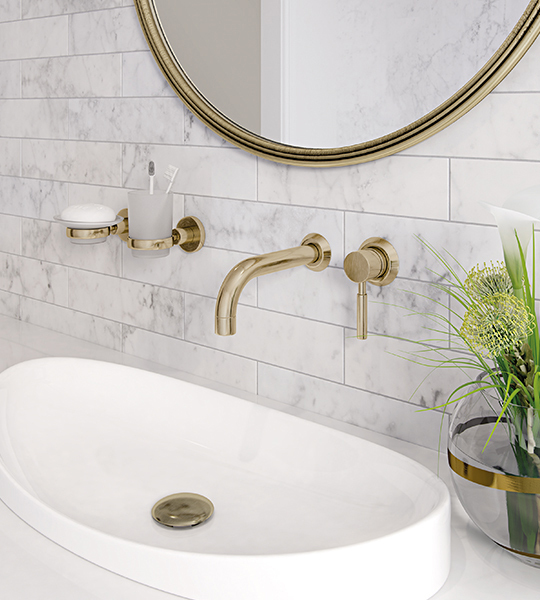 With taps, showers and accessories available in polished gold, brushed gold, polished nickel and brushed nickel, you can find the product that matches your bathroom ambitions. Don’t follow the crowd. Be distinctive. Be stylish. Be Individual.